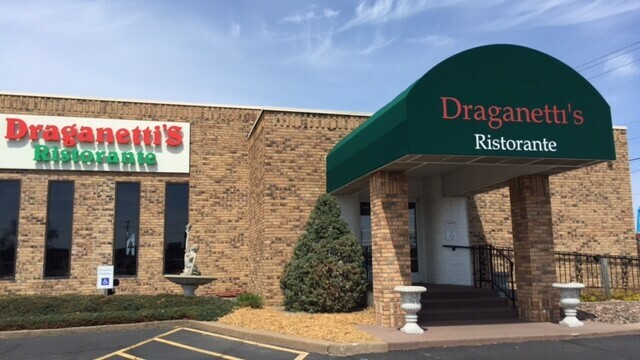 A family tradition of Italian excellence with a reputable local history dating back to 1982. Enjoy their casual yet upscale atmosphere by starting with appetizers and salads, and then choosing from chicken, fish, veal, beef, and a vast array of pastas and sauces -- plus monthly specials. Don't forget about their famous pizzas like the pesto or a build-your-own masterpiece. Pick-up ordering available. Offering affordable custom catering options. Gluten free menu options available. Outdoor seating, vegetarian friendly. Get a free scoop of Spumoni on your birthday. While the restaurant is known for fine Italian dining, the bar at Drag's is known for a comfortable, old-school lounge feel marked by low lighting and stools plus expertly mixed cocktails like the famous old-fashioned. Happy hour is 4-6pm, Monday through Thursday. Outdoor patio, four taps, three specialty beers, party room that holds 40.